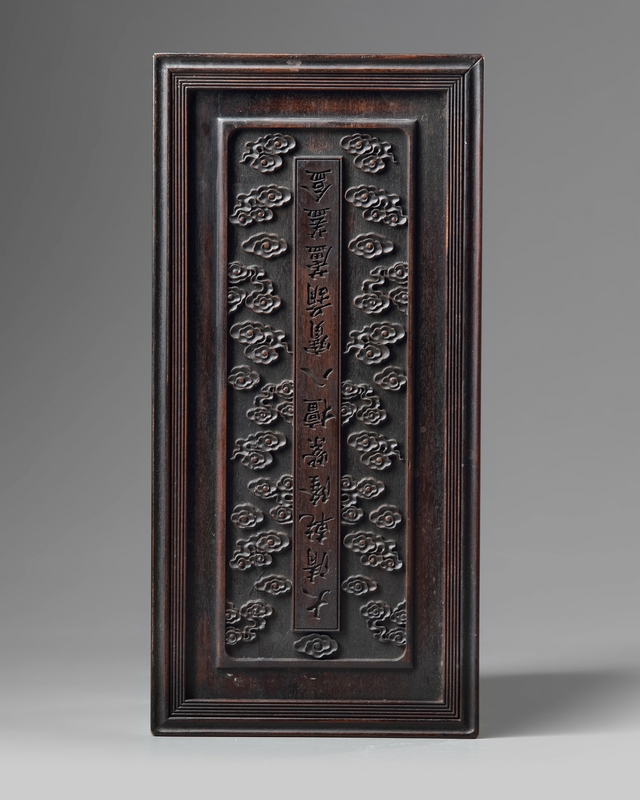 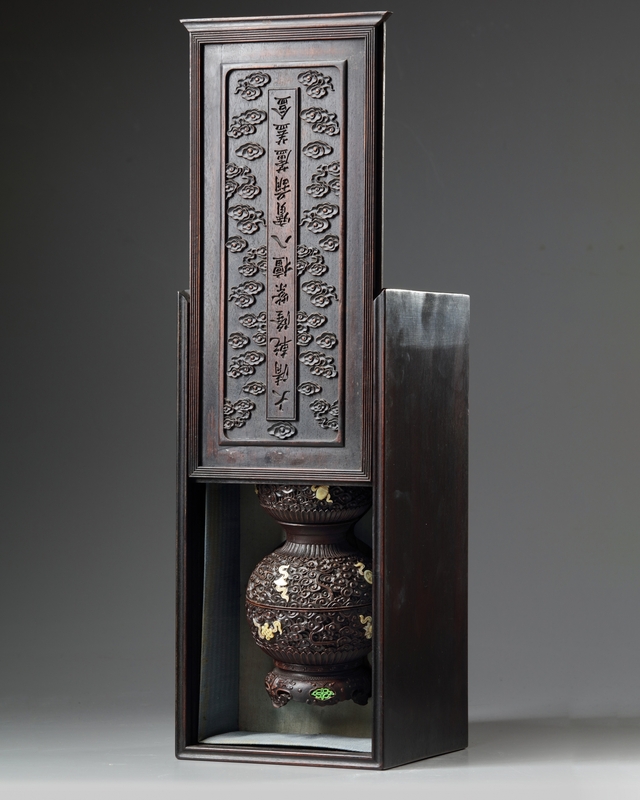 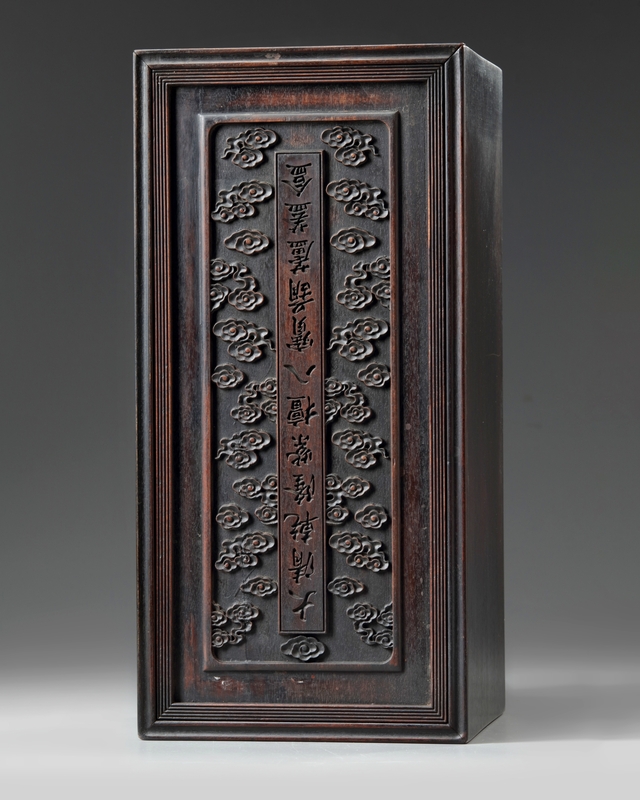 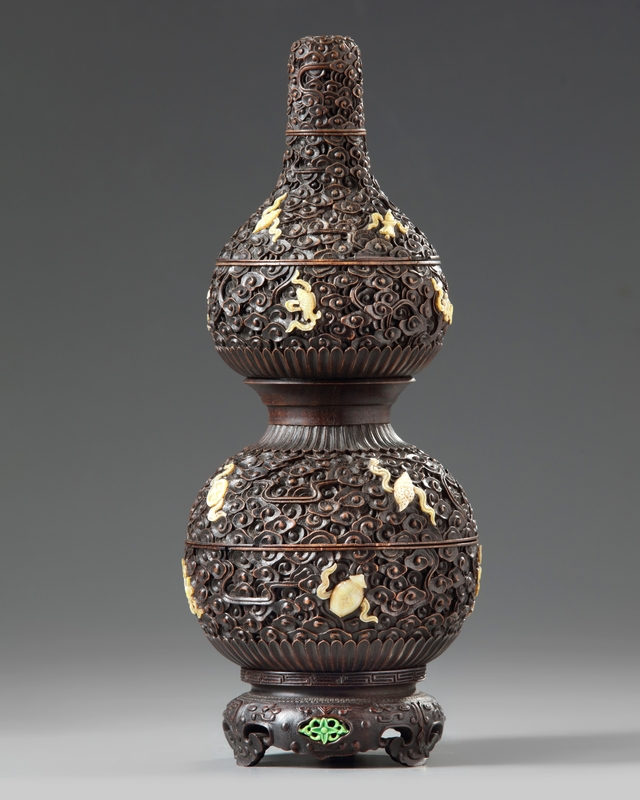 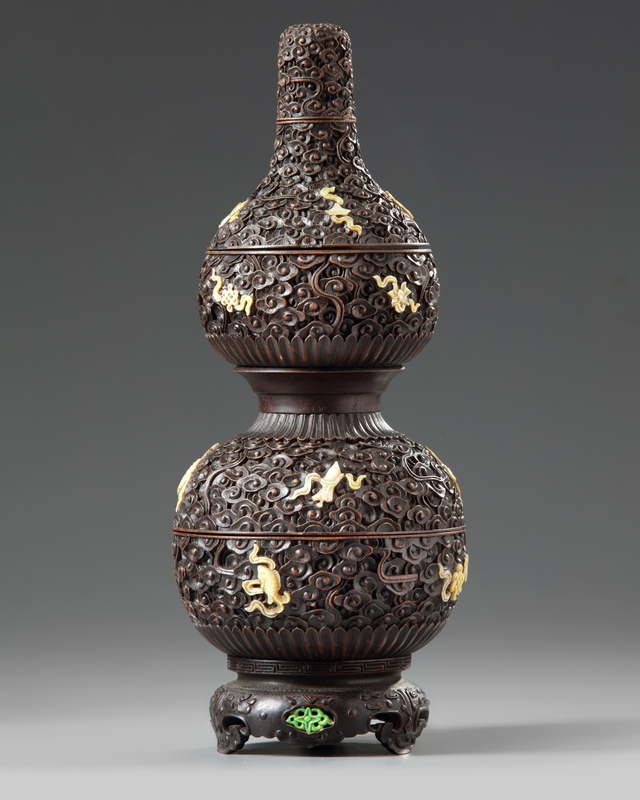 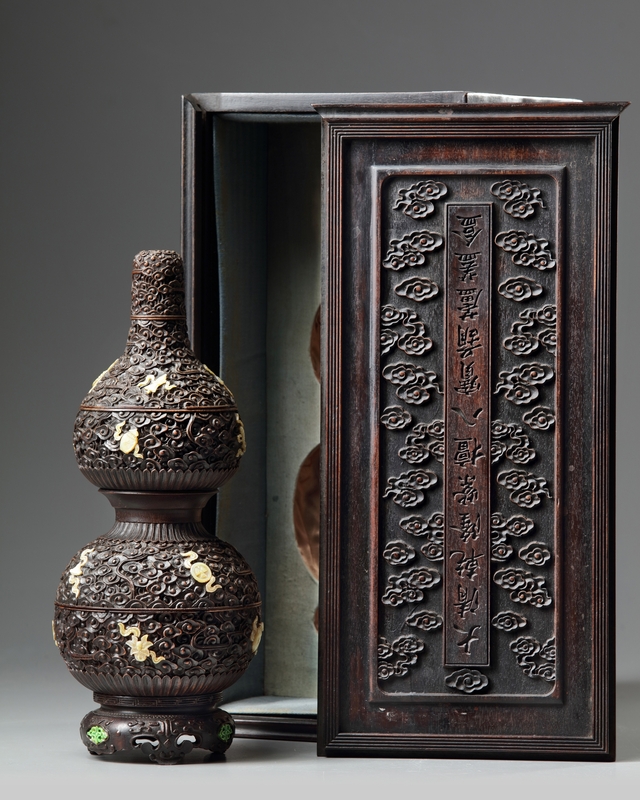 The vase is carved in three portions, the body is decorated with inlaid mother of pearl Eight Buddhist Emblems all reserved on densely scrolling lingzhi-shaped clouds, the waist is decorated with lotus petals. 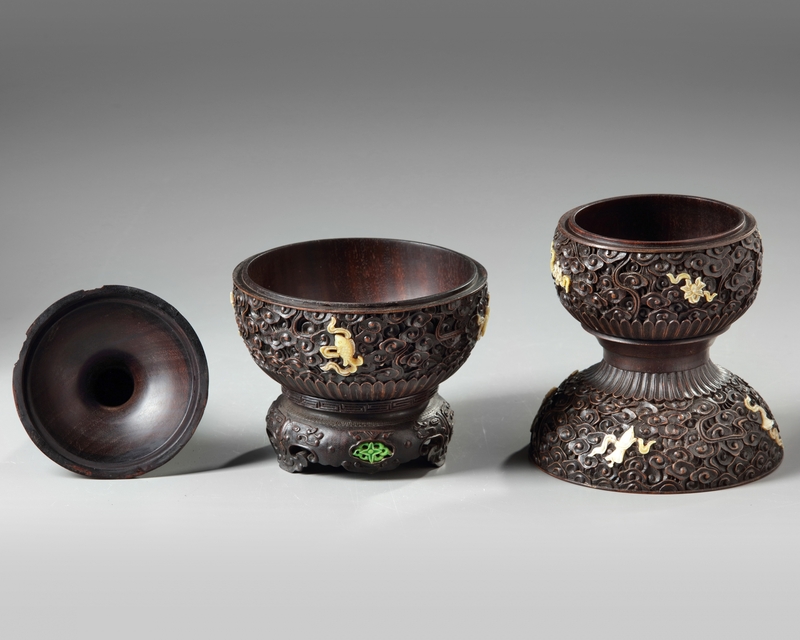 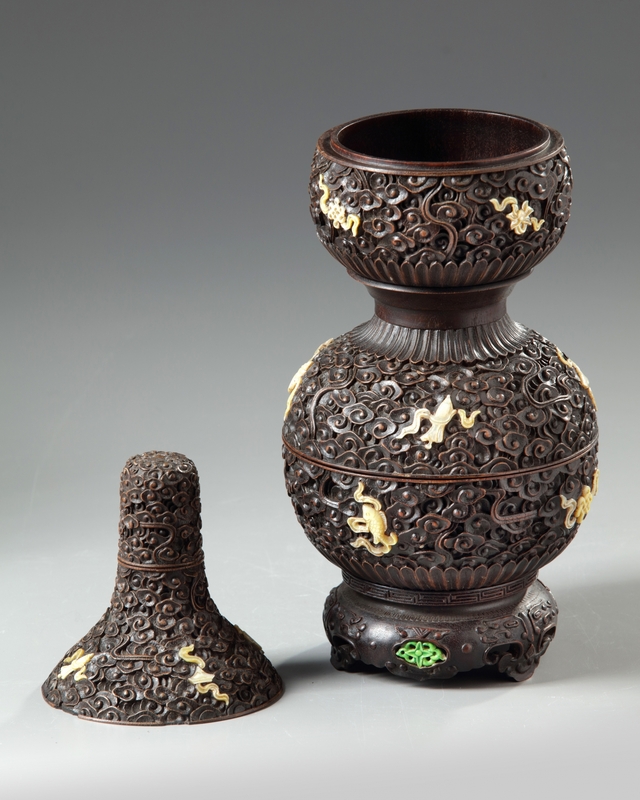 The gourd is carved with a stand which is decorated with inlaid green-painted flowers and standing on three ruyi-shaped feet. 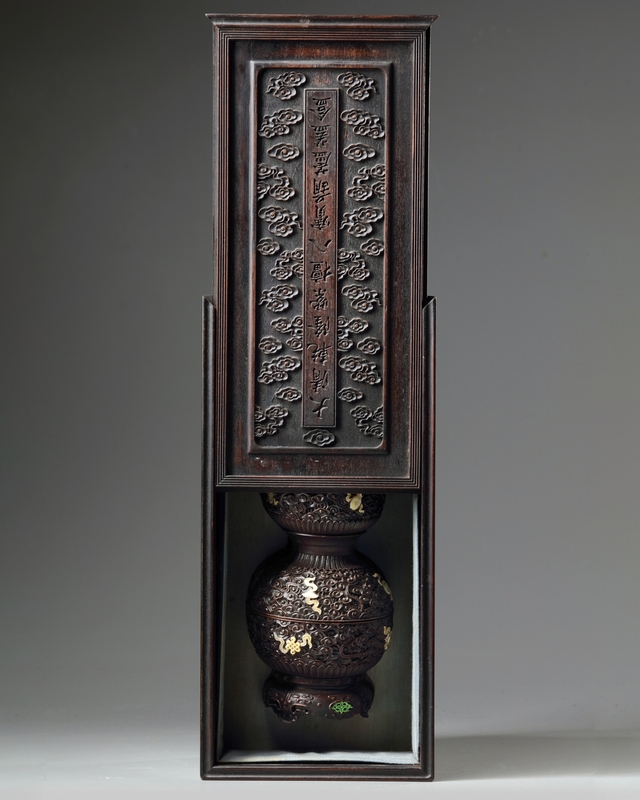 With a cloth lined wood box.